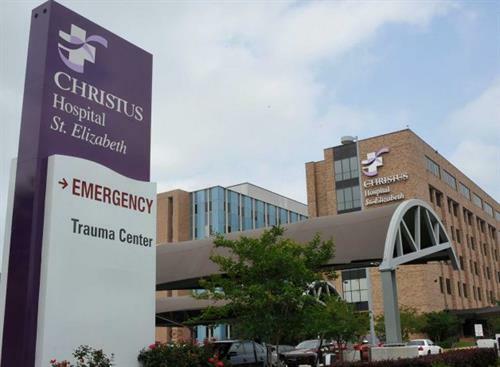 CHRISTUS Hospital-St. Elizabeth, is a 431-bed acute care and trauma center, and is a regional leader in spine and orthopedics, cardiology, oncology, general surgery, critical care and trauma, birthing, neonatal care, and bariatrics. 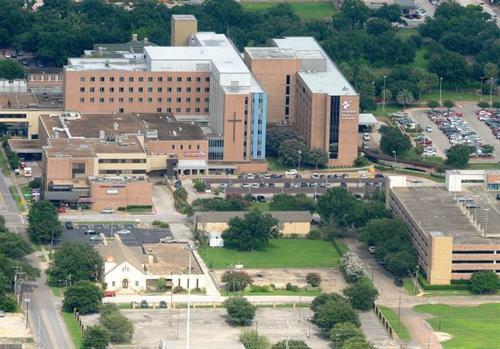 As the largest Magnet hospital between Houston and Baton Rouge, CHRISTUS Hospital-St. Elizabeth offers a positive, patient-focused environment providing the highest level of care possible for the community. St. Elizabeth received The Joint Commission’s (TJC) Gold Seal of Approval as a Primary Stroke Center and TJC’s Gold Seal of Approval for Heart Failure Certification.St. Elizabeth utilizes cutting-edge technology to care for patient's needs, including advanced clinical documentation systems, electronic medical record document scanning and archival system, and picture archive computer system (PACS) in cardiology and radiology, all of which streamlines physician access to patient medical information. In addition, St. Elizabeth offers bedside medication verification barcode scanning, wireless access for patients and guests, self-service patient kiosks, and mobile PDA devices for medical staff to perform dictation and e-prescribing as well as view clinical results.The facility is the only Level III Trauma Center in the area. Nationally recognized physicians work at the forefront of research, clinical trials, treatment, and care. The team has the Stroke Honor Roll designation and the ‘Get With The Guidelines’ Gold Plus Performance Achievement Award for Heart Failure Treatment from the American Heart and Stroke Association.